Ph. D. University of Dehli, 1976. Shiv N. Khanna is a Commonwealth Professor of Professor of Physics at VCU, having been a visiting associate professor at Northeastern University (1983-84) and a scientific collaborator at the Swiss Federal Institute of Technology in Switzerland (1980-1983). He served as Chair of the Physics Department during 1995-1998. Dr. Khanna is internationally recognized for his work on clusters (groups containing few atoms) and nanoscale materials. One of his significant contributions is the “superatoms” where he and co-workers discovered that selected clusters can take on the chemical behavior of atoms in the periodic table and that materials with novel characteristics could be developed using such clusters, named “superatoms”, as building blocks. They proposed that the conventional periodic table of elements, that has remained at the heart of chemistry and material science for nearly a century may finally need modification with “superatoms” forming a third dimension. These developments have opened a pathway to novel nano-materials, and have been featured in more than 200 reports by various news agencies, including C&EN news, Scientific American, Nature, Science, and New Scientist. His current work focusses on forming materials where clusters serve as the building blocks. He has co-authored more than 300 research publications in refereed journals, including prestigious journals such as Science and Nature Chemistry and has edited six monographs. These publications have been cited more than 8000 times. Dr. Khanna has delivered more than 100 lectures at national and international conferences, universities, and industry. Dr. Khanna has been a recipient of the Outstanding Faculty Award from the State Council of Higher Education in Virginia. This is the highest honor bestowed by the Commonwealth of Virginia. 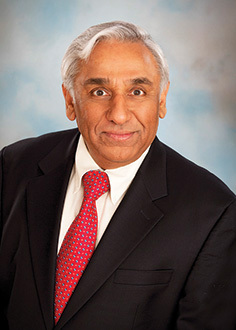 Dr. Khanna is a fellow of the American Physical Society and of the American Association for the Advancement of Science. He has been the recipient of the University Distinguished Scholarship Award of the VCU. He has also twice been the recipient of the Distinguished Scholar Award from the College of Humanities and Sciences at VCU. Shiv Khanna's webpage does not represent an official opinion of Virginia Commonwealth University.